A ribbon cutting ceremony was held Friday, August 18th for Building B at J. L. Mann High School in Greenville, SC. 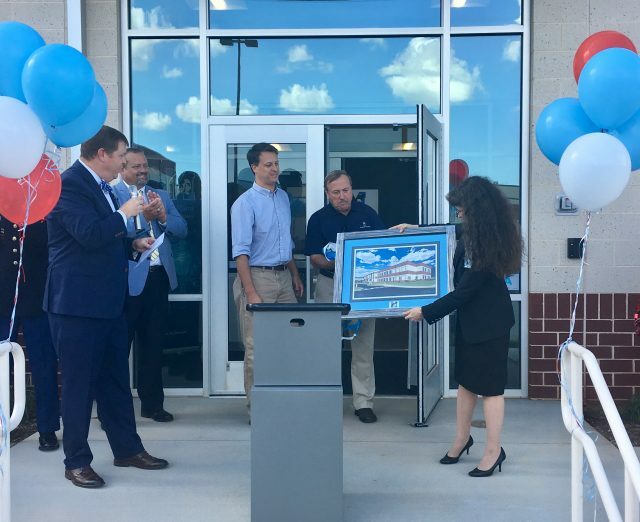 The new 54,000 SF free-standing facility houses the New-Tech@Mann program which emphasizes project-based learning and serves up to 600 students. 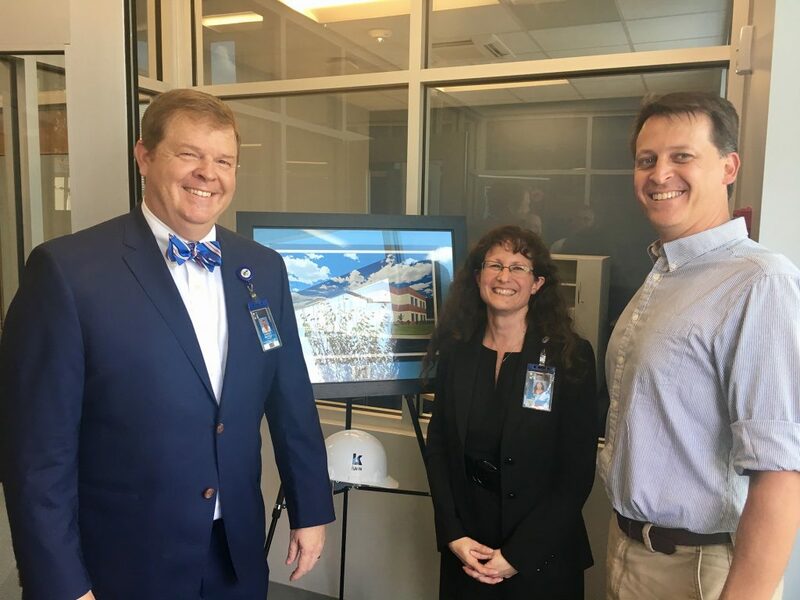 M. B. Kahn’s Mack Smith, Brett Hahulski, and Kenny Dickerson attended the ceremony and presented Principal Charles S. Mayfield and Director Cindy Alsip with a framed photo of the newly constructed building.